Description: One of the most famous dinosaur fossil quarries is located within Dinosaur National Monument. The Carnegie Dinosaur Quarry is known for it's wall of dinosaur bones where visitors can have a close view of fossils still inside the rock that preserved the bones. The quarry was closed for several years, but now has re-opened. A new visitor center welcomes dinosaur lovers to the monument. Away from the quarry there are several scenic drives, hikes, and even opportunities for white water rafting. Location: Dinosaur National Monument straddles the boarder between Utah and Colorado. 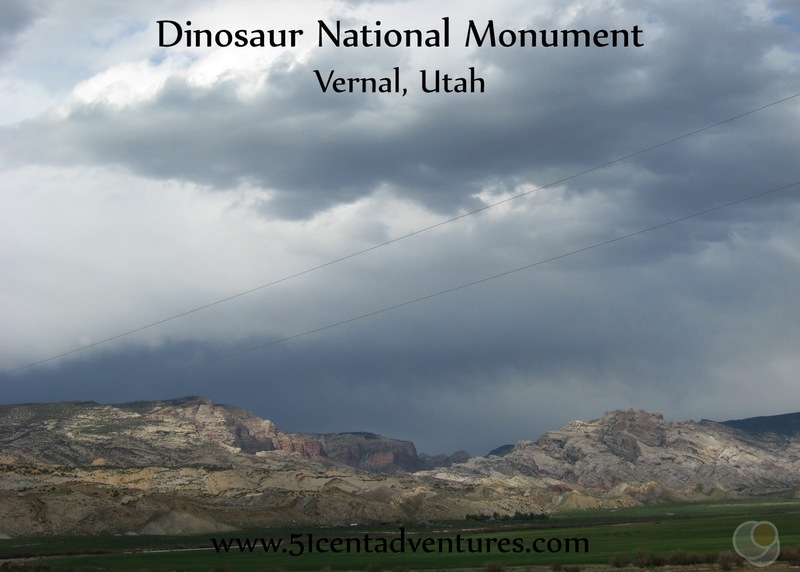 It is located between Vernal, Utah and Dinosaur, Colorado. All of the dinosaurs fossils are located on the Utah side of the monument. Cost: Entrance to the park is $10 per private vehicle. Camping fees range from free to $12 depending on the campground. Most sites are first come first serve, but you can make reservations for a few sites at the Green River Campground. Operating Seasons and Hours: The monument itself is open 24 hours a day. However, hours for the two Visitor Centers and the quarry vary depending on the season. Generally they are all open from 9:00 am to 5:00 pm. 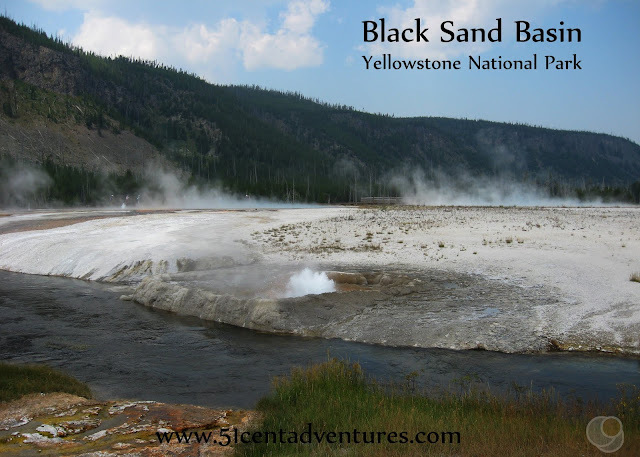 This was the fourth stop of the eighth day of the Southern Utah Road Trip that my husband and I went on for our third anniversary in May of 2010. We'd driven from Moab, Utah via Colorado Highway 139 (also known as Douglas Pass Road). 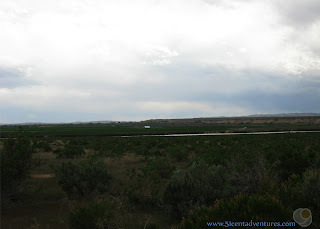 Then we turned west and headed back into Utah to reach the Utah side of Dinosaur National Monument. First of all, I need to start this post off with a huge disclaimer. When I visited this Dinosaur National Monument in May of 2010 the area's most famous feature, the Carnegie Dinosaur Quarry, was closed. Not only that, but the whole visitor center was undergoing extensive remodeling and was completely inaccessible. So when you read this post keep in mind that I didn't really visit the monument as it exists today. When I was a little kid I would often hear about the amazing wall of dinosaur bones or the dinosaur quarry near Vernal Utah. I still vividly remember a Reading Rainbow episode where Lavar Burton visited the dinosaur fossil quarry. I always wanted to see that wall of bones in person. So when I started planning this road trip I wanted to stop at the dinosaur monument. However, I quickly started thinking that maybe it wouldn't be as cool as I thought. For one, I had assumed that the Dinosaur place in Vernal was a National Park. I was surprised to find out that was only a National Monument. Then I found out that the visitor center and the quarry had been closed several years earlier due to ground instability. The quarry was undergoing extensive renovations and a whole new visitor center was being build. Neither would be done until almost 18 months after our trip. Honestly, I probably would have dropped this place from our route all together if it hadn't been sort of on our way back home. But we did plan to travel through Vernal on our way back to Logan so we decided to at least check out the monument. When we arrived at the monument I wasn't expecting much. The whole place seemed deserted. I don't even remember seeing anyone at the entrance station. My husband and I decided to go on an auto tour on the "Tour of Tilted Rocks" road. 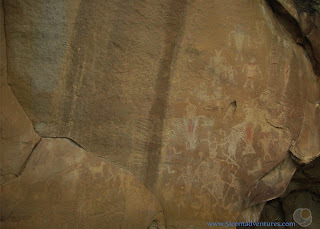 We must have had a brochure because we knew to get out of the car and look at the Swelter Shelter Petroglyphs. This is the view looking away from the petroglyphs. We drove for a little bit more along the road, but we got bored pretty fast. We'd been on our trip for eight days and we'd seen a lot more interesting things that what that road had to offer. My husband kept paraphrasing Ian Malcome from Jurassic Park by saying "You are going to have Dinosaurs bones in your dinosaur park?" We left the monument and went to the Vernal KOA campground where we'd reserved a cabin. I'll admit, knowing that we didn't have to set up our tent and that we had a shower and a real bed waiting for us might have influenced our decision to give up on the monument. Looking back, the Dinosaur National Monument was the only dud of our 9 day vacation. Our visit there was boring and not at all what I hoped it would be. The Visitor Center and Quarry re-opened in the fall of 2011 so if we went to visit this national monument today it would be a whole different experience. We could go to the Quarry Visitor Center on the Utah side of the park and checked out the displays and little movie there. Then, depending on the season, we could either board a shuttle or drive our car in a caravan for 25 miles to the Quarry Exhibit Center where the famous wall of dinosaur bones is on display. My visit to the The Dinosaur National Monument was very disappointing, but I'm not going to pass final judgement on the monument yet. One day I'll go back and see what it's like when everything is actually open for business. Recommendation: I'm hesitant to give a recommendation for this place. I don't feel like I saw the "real" Dinosaur National Monument. What I will say is that if you do want to go here to see dinosaur bones, then you better make sure the visitor center and the quarry will both be open. Otherwise you'll be very disappointed. Directions: The Utah side of Dinosaur National Monument is located just north of the town of Jensen. But since no one knows where Jensen Utah is, I'll just say that the monument is about 20 miles west of Vernal. You can reach the Utah side by turning onto UT 149 from Utah Highway 40. Additional Information: For more information about the Visitor Center reconstruction read this press release. 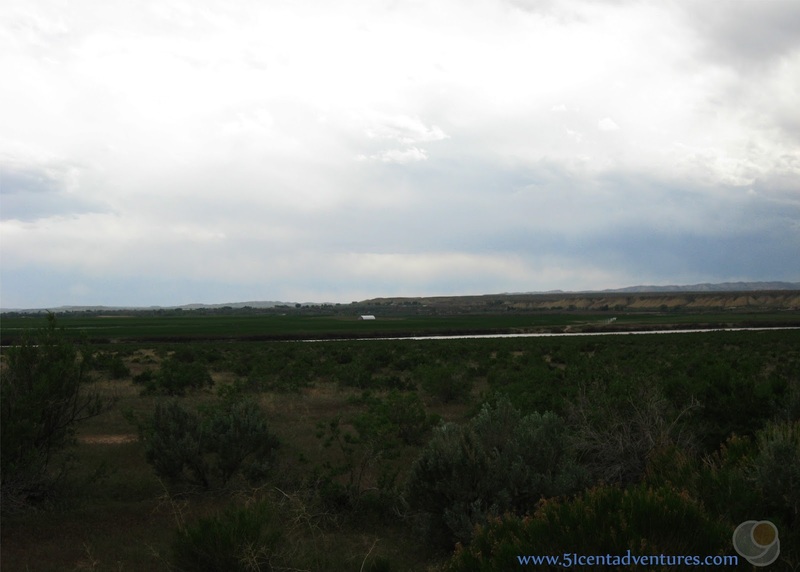 Places Nearby: We didn't visit the Colorado side of the monument. That side doesn't have dinosaur bones but it does have interesting scenery. There are several scenic drives and river rafting expeditions go through this side of the monument. The Colorado Side of the monument has it's own visitor center too. You can read more about the Colorado side of the park on the monument's website. It's a shame the quarry was closed, it really is the best part. Someday we hope to go back and camp at the Echo Park campground as it's supposedly quite beautiful.